Krk Island, off the Croatian coast, has been a popular destination for tourism and camping holidays since after the Second World War. Find your luxury camping site with LUX-camp and discover the appeal for yourself. Why should I camp in Krk Island? 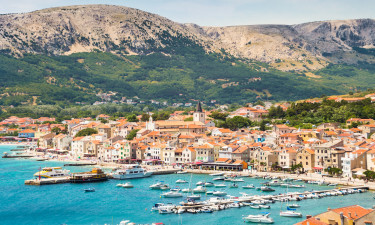 Connected to the Croatian mainland by ferry services and by one of the world's longest concrete bridges, Krk Island was occupied by the Romans and changed ownership many times during its history. 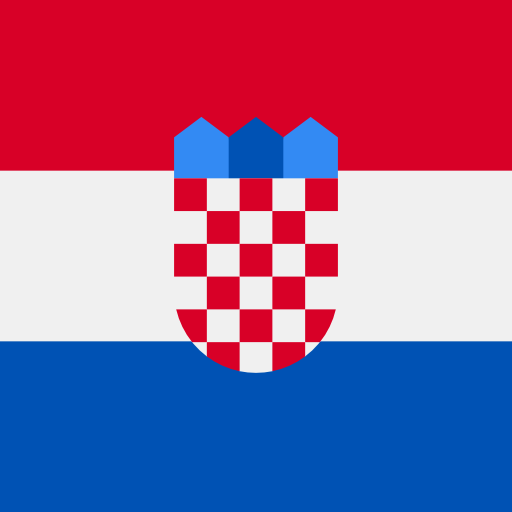 Today, it is popular with tourists from all over Europe thanks to its climate, beaches, cuisine, and natural beauty. Choose a mobile home near Krk, the island's main town, with its port and its ancient Roman remains, to combine luxury camping in the countryside with the convenience of shops, restaurants, and other facilities. The northernmost tip of the island is convenient for the road bridge and the airport, so if you want to reach your holiday camping site quickly, this is the spot for you. 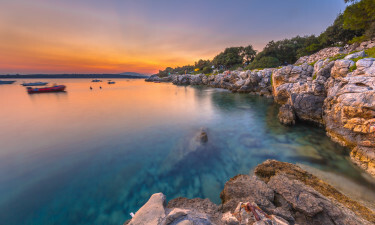 At the southeast end of the island, a natural bay faces the tiny isle of Otok Prvic, giving calm waters for swimming, diving and fishing, as well as pretty views. With few roads, this peaceful area has a sense of remoteness. With miles and miles of coastline, Krk Island has beaches for all tastes. Dunat, with its warm water, is a safe spot for families to paddle and play, while Porporela is bustling with activities and nightlife. 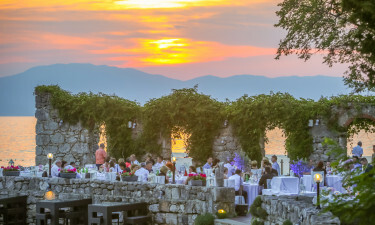 Koralj is popular with couples thanks to its romantic paths lined with pine trees, and views across the bay. Visit Biserujka Cave to see natural rock formations, or cover yourself in medicinal mud at Soline Bay. 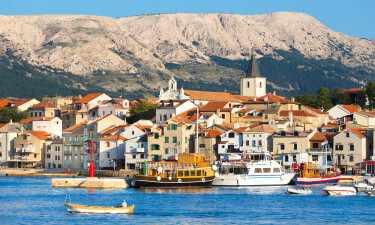 With its quaint villages and ancient cities to explore, hills and mountains to climb, and beaches of every type, there's plenty to do on Krk. Take a boat trip around the island, or a ferry to one of the other islands in the area. Explore the coast or inland by bicycle. For the more adventurous, there's wakeboarding, quad biking, and scuba diving. You can expect any number of tasty fish and seafood dishes. The Italian influence in the island's past is seen in the popularity of pasta dishes. Sheep are farmed here, both for meat and for their milk, which is turned into cheese. For a typical souvenir, take home some dried figs or brandy. If the islanders offer these to you, they are wishing you welcome.